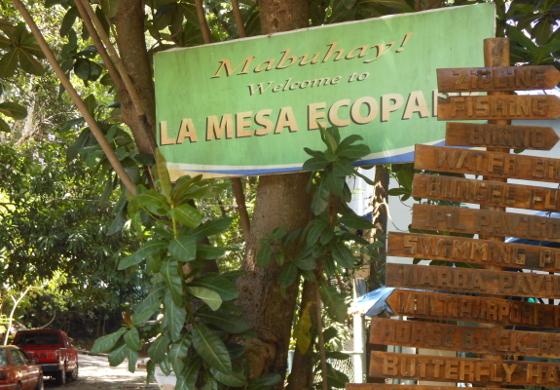 For adventure writers, La Mesa Park might be your hideaway of choice if you can brave a weekend and afford a camp out in the area, or sleepover in a nearby motel then mosey back the next day (Sunday) to continue your writer's retreat--just like you would if you were in Laos or some ASEAN jaunt, visiting the countryside and finding quiet time to write. 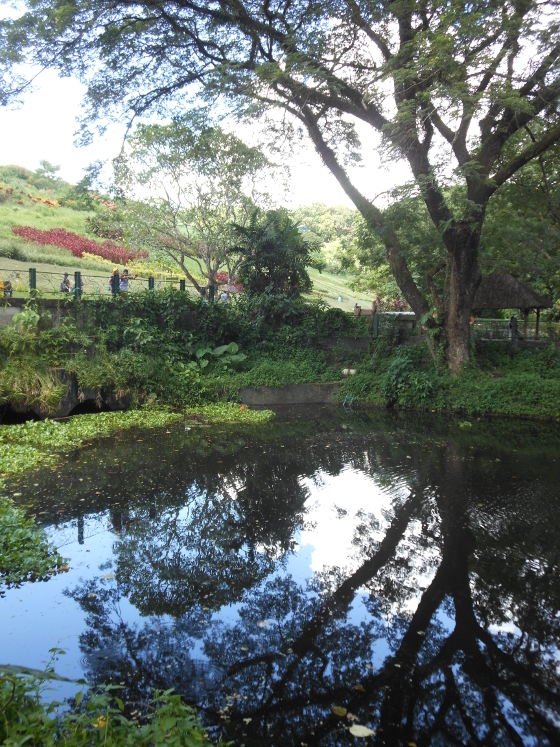 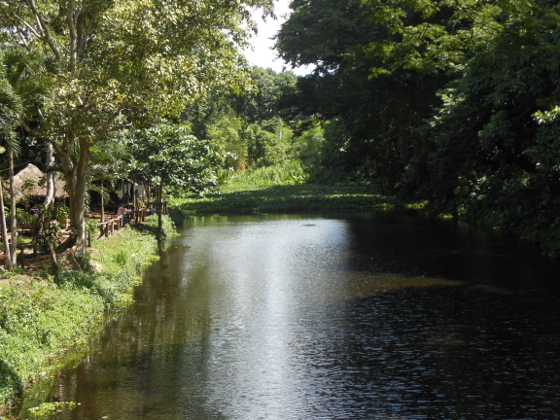 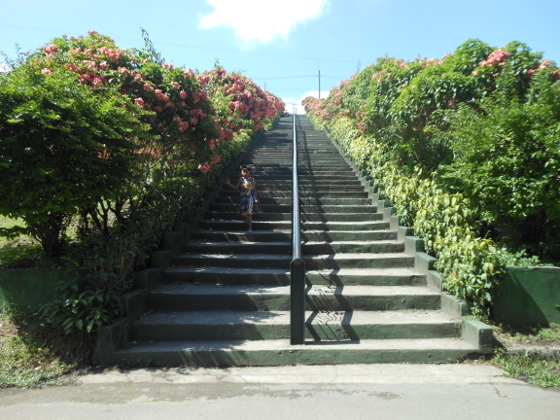 The interesting fact about La Mesa Eco Park is that it is located just a walk off the main road going into Fairview, a community north of Quezon City, and you wouldn't know a mountainous watershed was hiding right there in the middle of the suburbs. 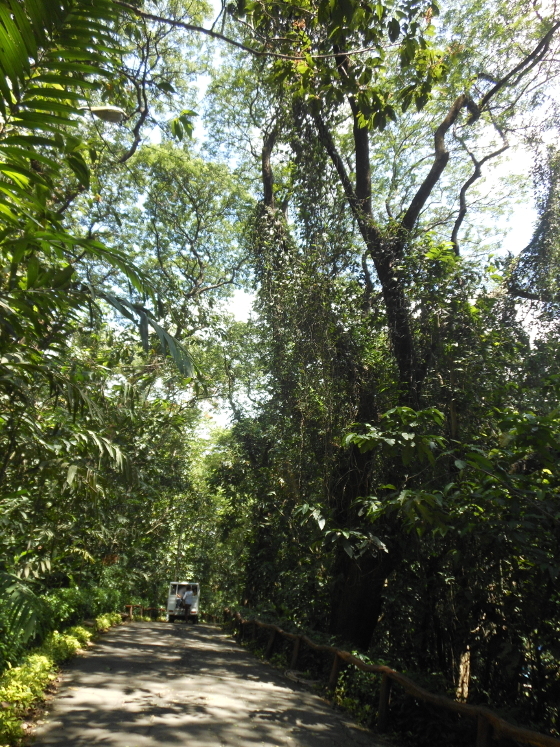 An airconditioned F/X taxi to the neighborhood where you can grab a tricycle into La Mesa Eco Park will run you about P30, or you can ride a jeepney for cheaper. 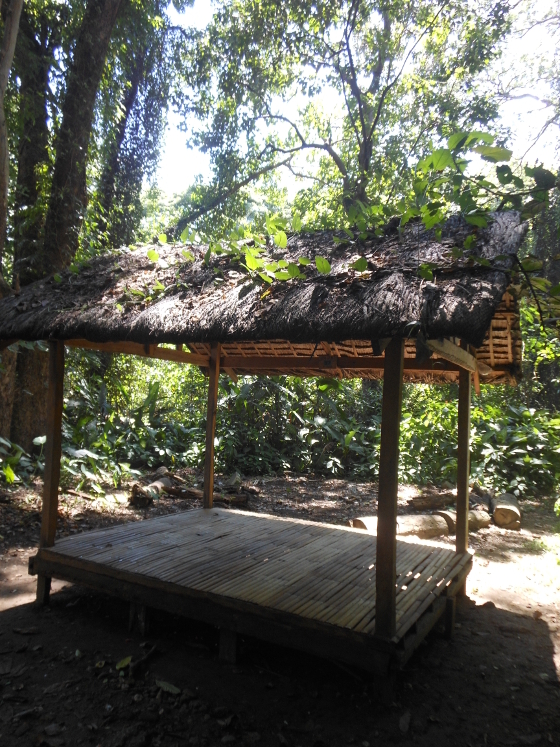 Ask the driver to drop you off at Winston street, look for the waiting shed with a big sign pointing to the direction of La Mesa Eco park. 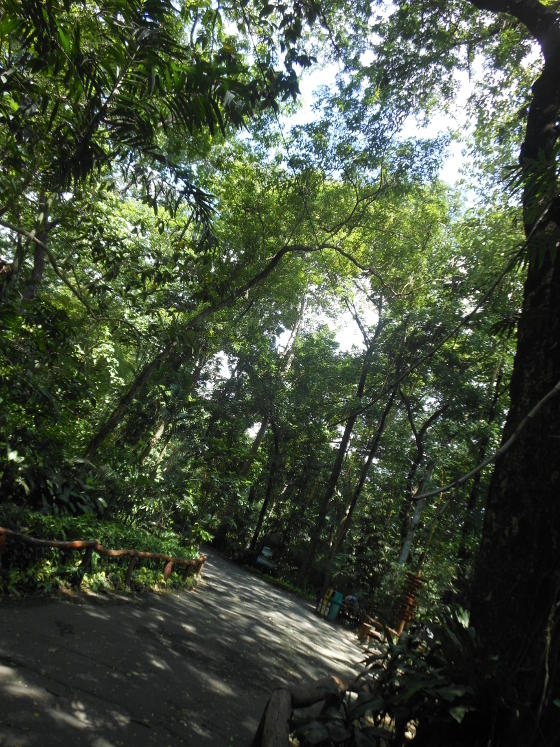 A tricycle ride to the Eco park will run you P50 each. 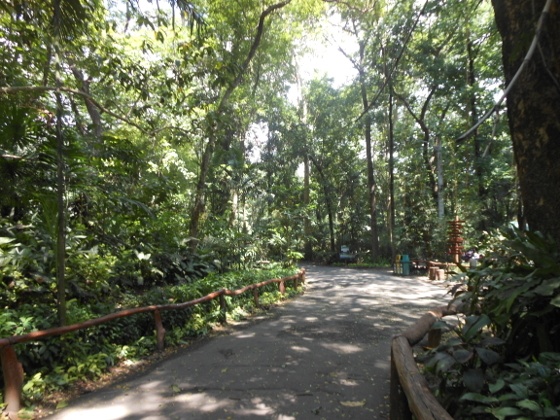 As you cross into the ticket booth, you immediately encounter the watershed forest on both sides of the street. 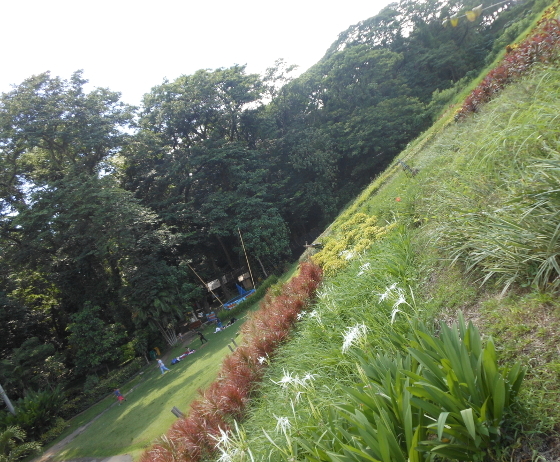 An entrance ticket costs P50 for non-QC residents, P40 for QC residents and P20 for children. 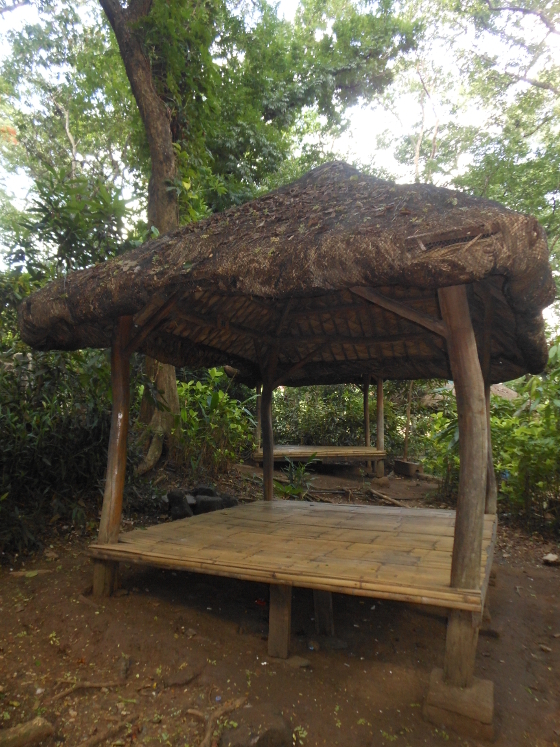 You walk down a path wide enough for cars and patrol motorcycles and reach the picnic grove which meanders around paths with clusters of gazebos--if you want a bahay-kubo vibe for your weekend writing jaunt. 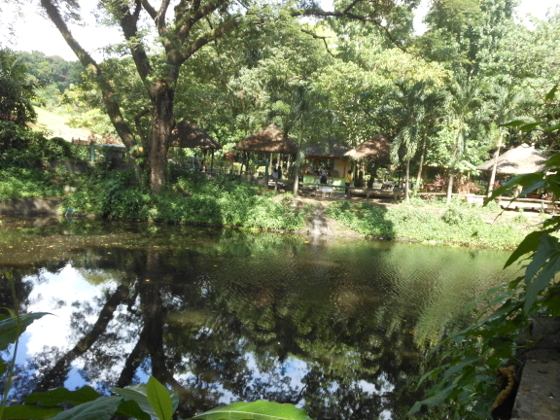 As soon as you spot the new swimming pool area, just across that is an arched bridge that marks the area for the Picnic Grove. 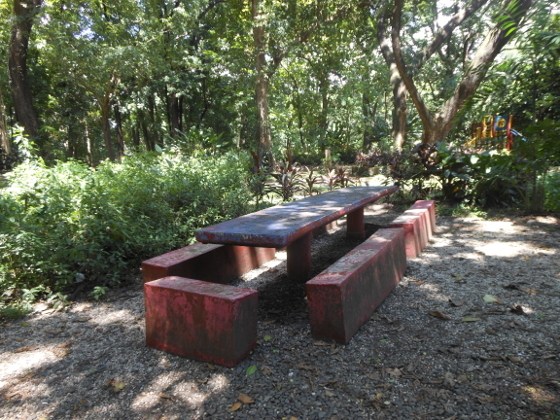 Stone, park tables are positioned in convenient spots under the tree shade for group gatherings. 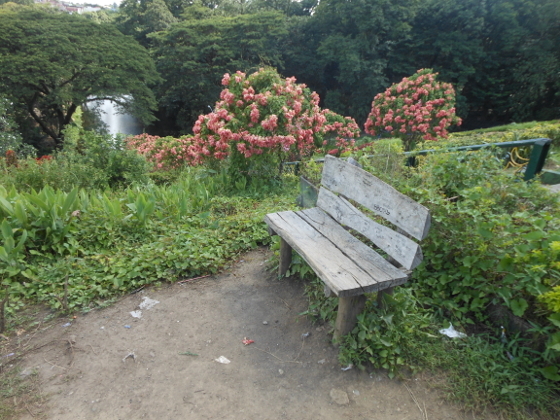 This is the area where you can plop down and enjoy an entire day of writing in a quiet place, (unless there are crowds or a school field trip), and you can always move around the area to find that perfect spot where you have a view of towering trees, and do some people-watching while you ponder on a plot scene or a short story character. 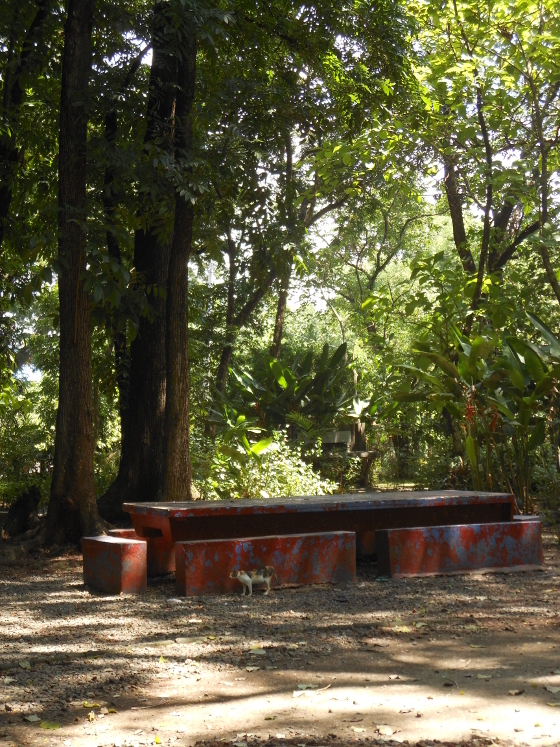 Bring a big, water bottle, or your own chug-jug for your own refreshments, because walking around the place is tiring and you may have to move around to avoid areas that get full sun in the summer. 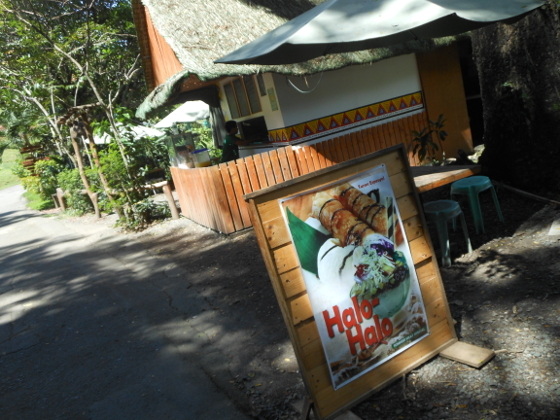 The Eco-park does have refreshment stands, and food kiosks that offer affordable meals like tapsilog or traditional Pinoy kakanin as merienda. 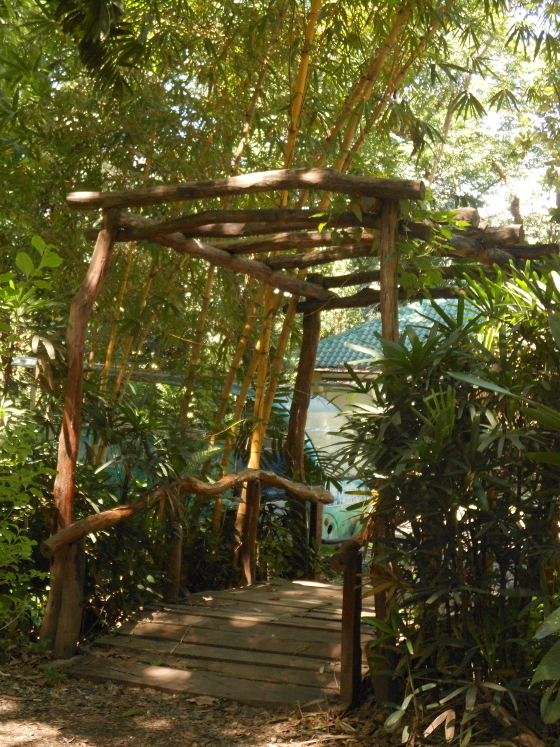 Around the EcoPark's picnic grove, there are numerous walks where you can lose yourself from the ambient crowd of weekend visitors, mostly families with kids, and find the other attractions of the park--a swimming pool, a butterfly garden, an orchidarium, a bike rental stop for moseying around the place on wheels, and a fishing area if you like spending downtime holding a line for hours to pull out lunch from the pond. 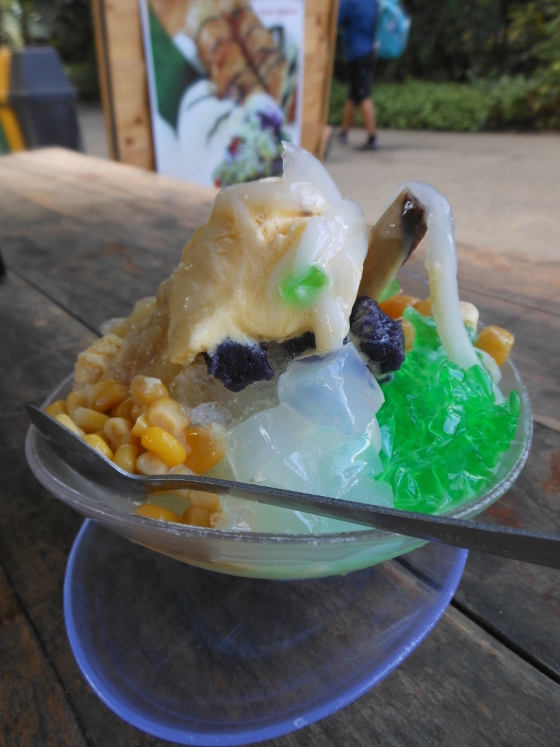 There are food kiosks around the park which serve refreshments (literally) like halo-halo, kakanin, the all-Filipino crushed-ice with fruit flavored, sno-cone. 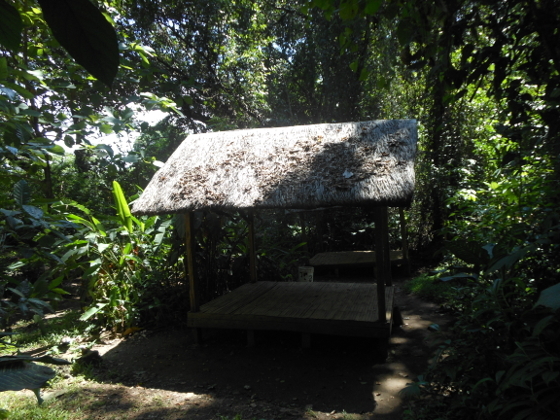 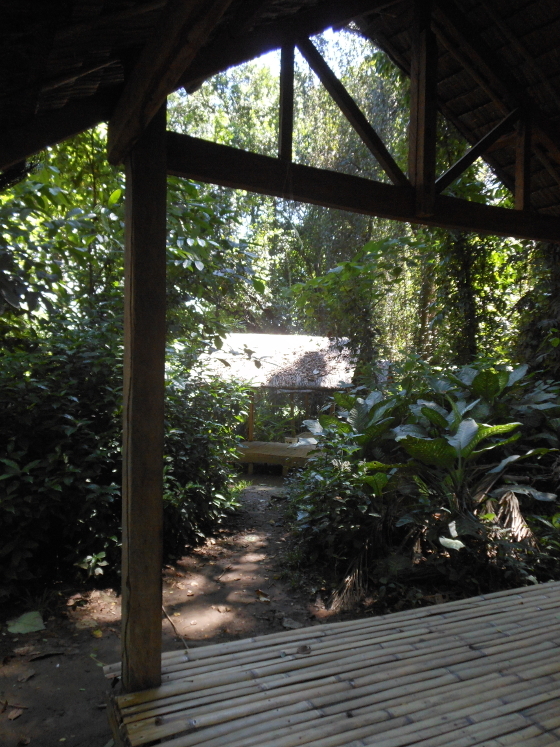 Aside from the stone tables and benches, plus the cottage-gazebos (rental P500 per day), you can also hunt for your favorite tree shade and set up a picnic blanket and a folding chair and write away the whole morning and afternoon if you really don't want to spend anything. 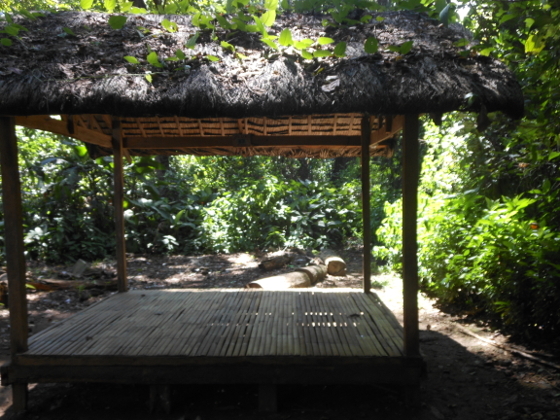 The cottages offer excellent shade against the hottest summer days and your only problem with the gazebos are the hidden hordes of ants that make a beeline into the sawali-roofing of the hut. 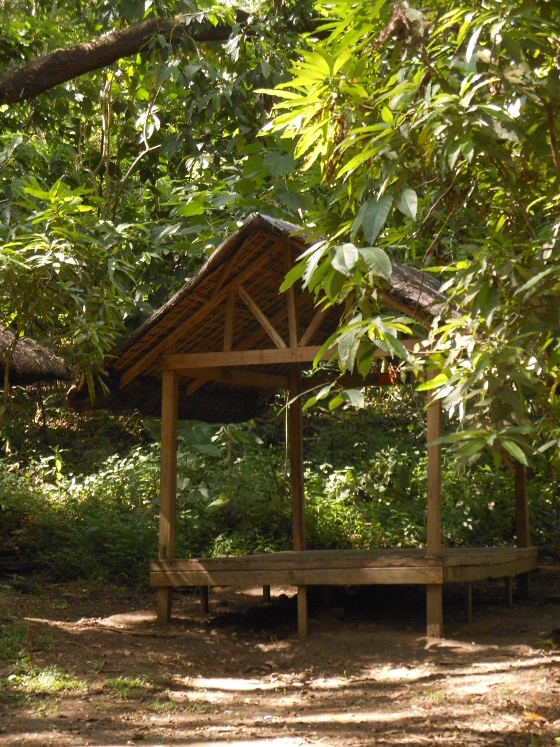 Bringing along diatomaceous earth powder and spreading some around your gazebo should give you respite from the insects. 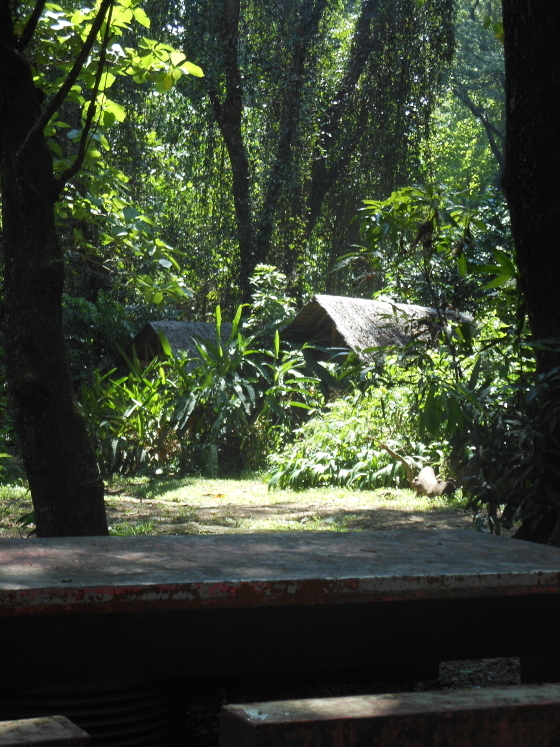 If you are staying out, in some motel or homestay in the area at the end of the day, you can compare notes with your writer friends before you hit the sack, if you go out as a group of writers. 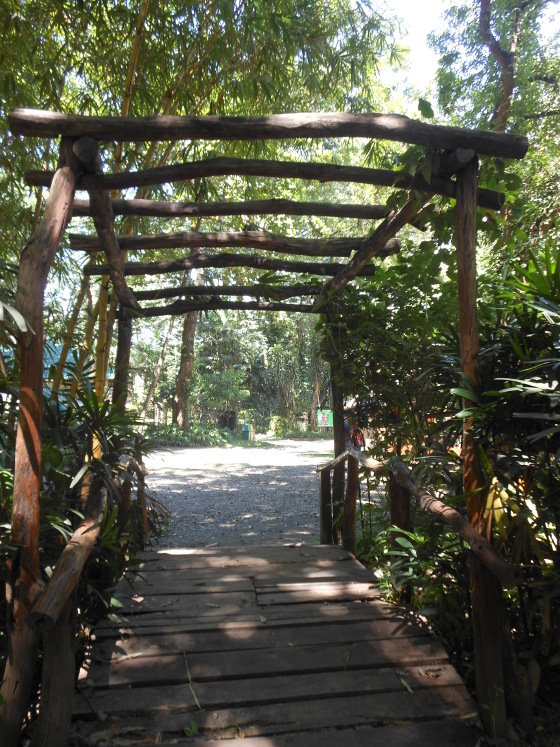 If you go solo, you can still enjoy the convenience of having everything (convenience stores, sari-sari stores, carinderias) just a ride away, before hopping back into the writer's retreat. 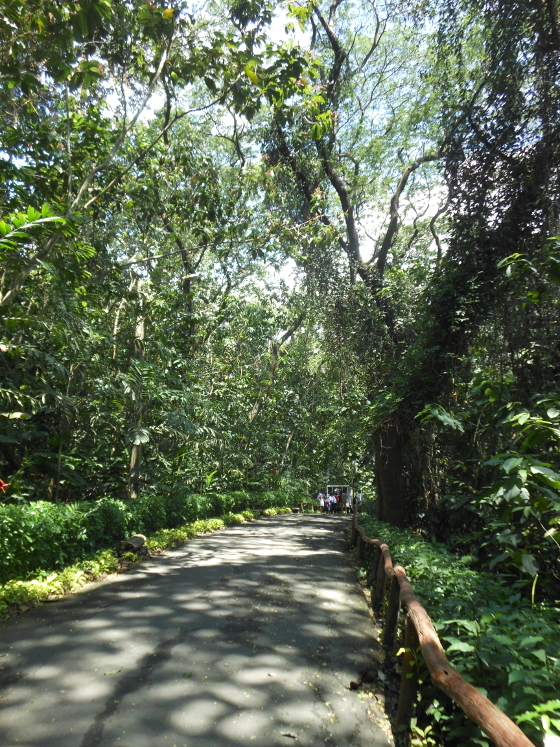 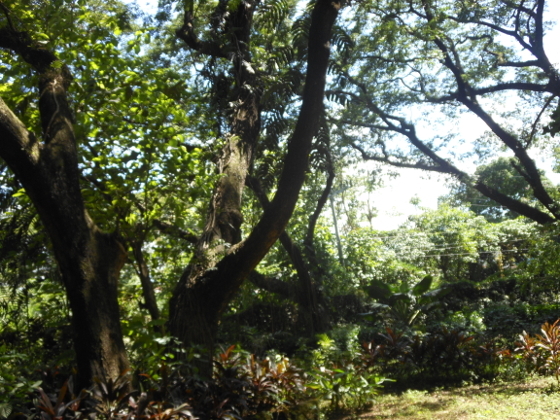 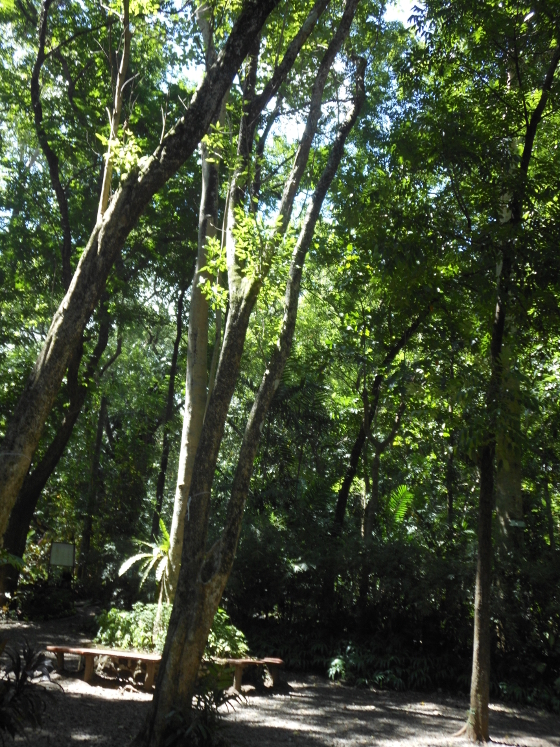 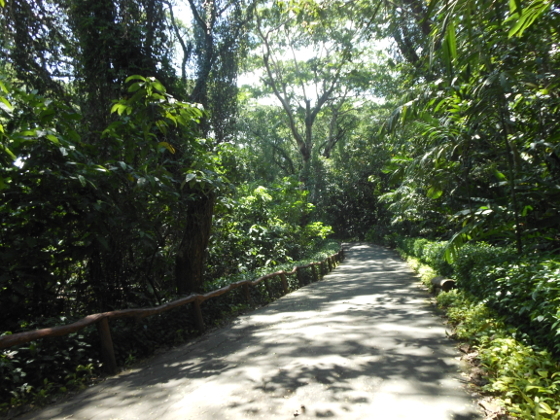 nooks and crannies of La Mesa Eco Park. 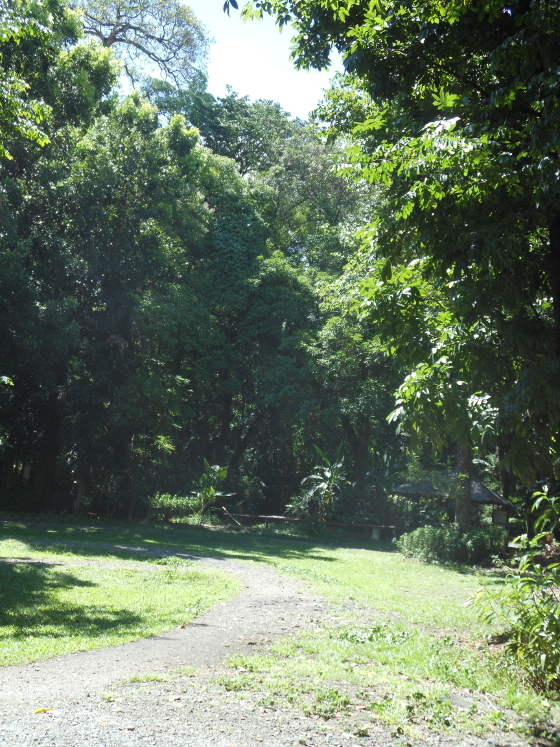 La Mesa Forest EcoPark has a camp out area at the base of a hill that is safe but the campsite fees run upwards of P2,000 and favor a group of people for overnight camping. 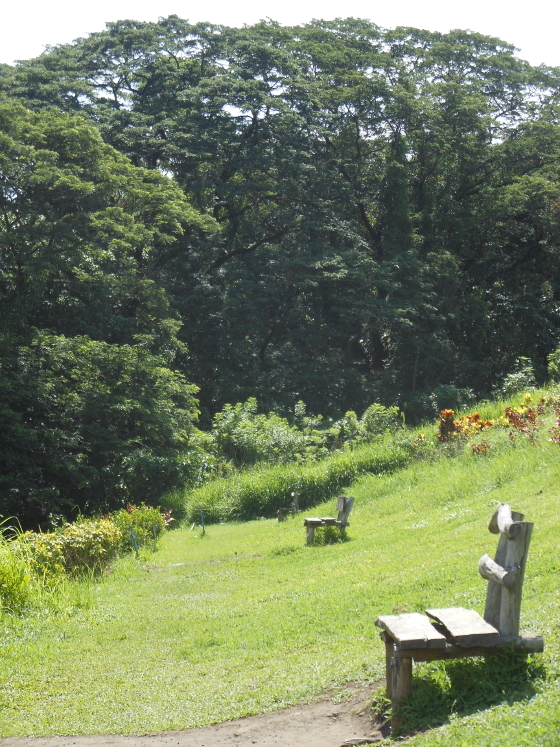 The hillside gets full sunlight by noon, so if you were hanging out by any of the park benches in that area you might want to move down into the Picnic Grove near the pond area. 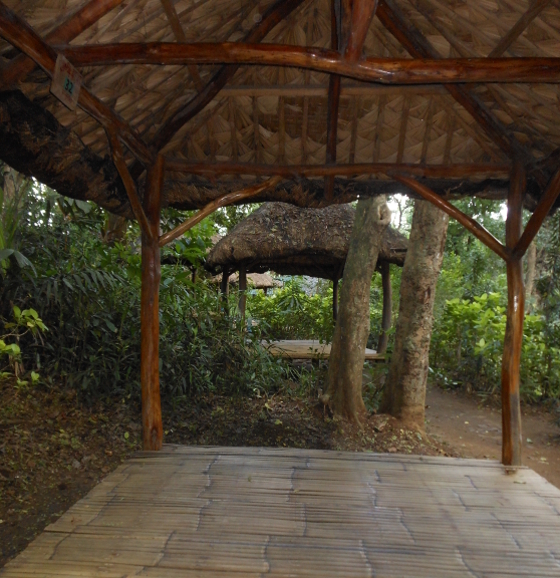 Don't forget to bring a storm poncho during rainy season because you don't want to get caught in a squall or thunderstorm while out there writing and getting drenched if you can't run to the nearest empty gazebo or cottage. 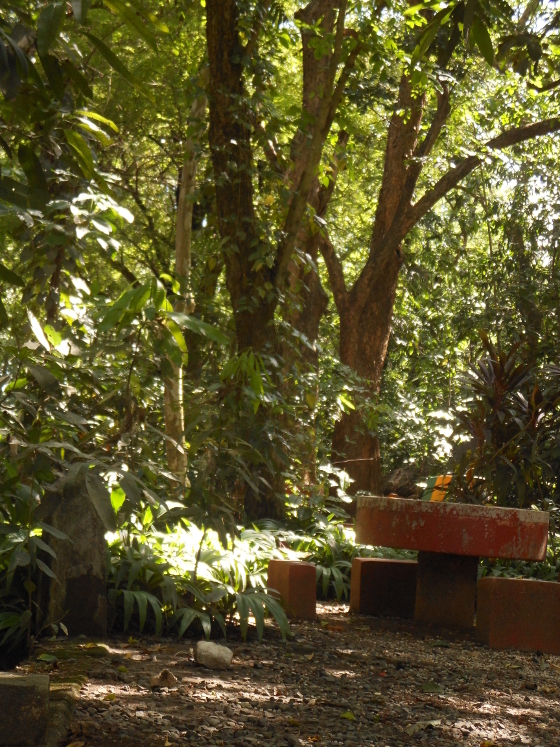 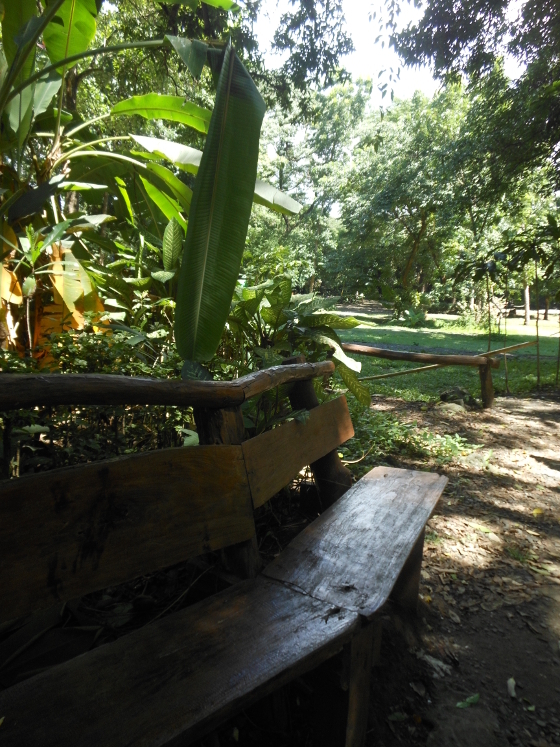 On weekends, in the summer, La Mesa Eco Park may just be one of the best solitary places to spend time writing, if you don't mind long hand writing on a journal, then transcribe your notes once you return to the city.